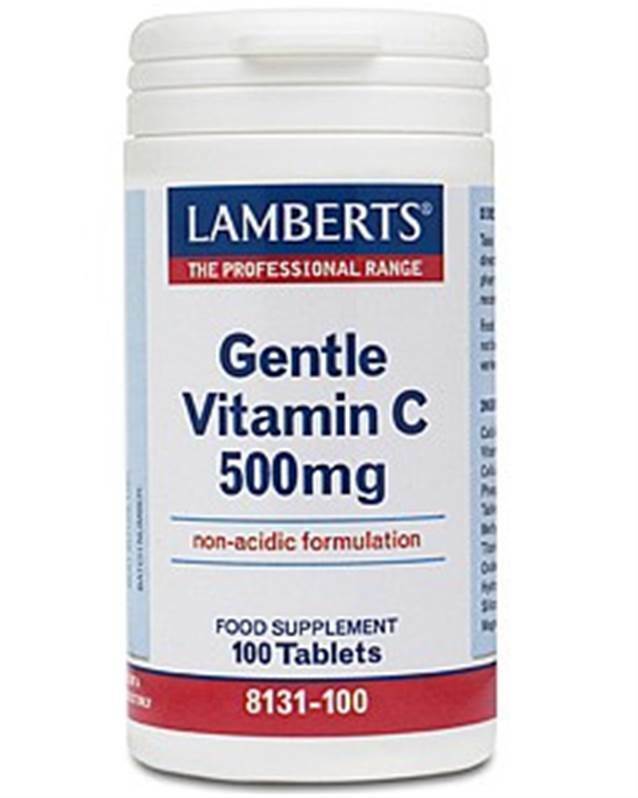 Lamberts Gentle Vitamin C. Vitamin C health supplement that is gentler on the stomach. Ideal for those with delicate stomachs and who require large amounts of vitamin C.
Vitamin C, or ascorbic acid is needed for a healthy immune system, healthy bones, teeth and gums as well as helping to maintain normal blood fat and cholesterol levels. In addition to being an antioxidant in its own right, vitamin C facilitates the body in recycling other antioxidants. However due to its acidity, vitamin C may cause slight gastric upset in those with very sensitive stomachs. This product provides vitamin C in the form of calcium ascorbate, a non-acidic compound that is believed to be gentler on the stomach. Up to 3g of vitamin C can be taken using this product (6 tablets), and if this amount is being consumed we recommend that the tablets are taken spread out through the day. Each tablet also provides over 70mg of calcium, which can make a valuable contribution to an individual’s calcium intake, particularly if they are taking several tablets per day. Cellulose, TriCalcium Phosphate, Modified Starch, Tablet Coating (Hydroxypropyl Methylcellulose, Colours: Titanium Dioxide & Iron Oxide Cellulose), Hydroxypropyl Methylcellulose, Silicon Dioxide, Stearic Acid, Magnesium Stearate.